Colombia kicked off the 2016 Copa America with a 2-0 victory over hosts United States in California on Friday. America, hosting the competition for the first time on its 100th anniversary, fell behind on eight minutes in Santa Clara when Cristian Zapata volleyed home. Real Madrid playmaker James Rodriguez then added a first-half penalty in front of a crowd of 67,439 at Levi's Stadium to secure the 2001 champions all three points in the Group A opener. A bright start from Jose Pekerman's side was rewarded when Zapata expertly converted Edwin Cardona's corner from 10 yards. Clint Dempsey, who saw an earlier overhead kick attempt fail, then struck the wall from a free-kick as the hosts pushed for an equaliser. Former Fulham forward Dempsey had another shot which flew just wide as the half drew to a close before Rodriguez delivered the killer blow on 41 minutes from the spot. DeAndre Yedlin was adjudged to have handled Farid Diaz's cross and, while there were doubts over the decision, there was none from Rodriguez, who fired into the bottom left corner of Brad Guzan's net. 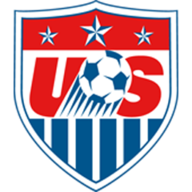 The United States tried to force their way back into the game in the second half and came close when Geoff Cameron saw a header cleared off the line by Perez on the hour mark. Five minutes later, Dempsey's curling free-kick from 25 yards was superbly palmed away by David Ospina. 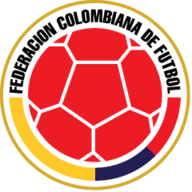 Rodriguez was later replaced, nursing an apparent shoulder injury, while Carlos Bacca crashed an effort against the bar for Colombia with 13 minutes remaining. Costa Rica take on Paraguay in Orlando in the second game in Group A on Saturday, before Group B gets underway with Haiti v Peru in Seattle and Brazil v Ecuador at the Rose Bowl in Pasadena.